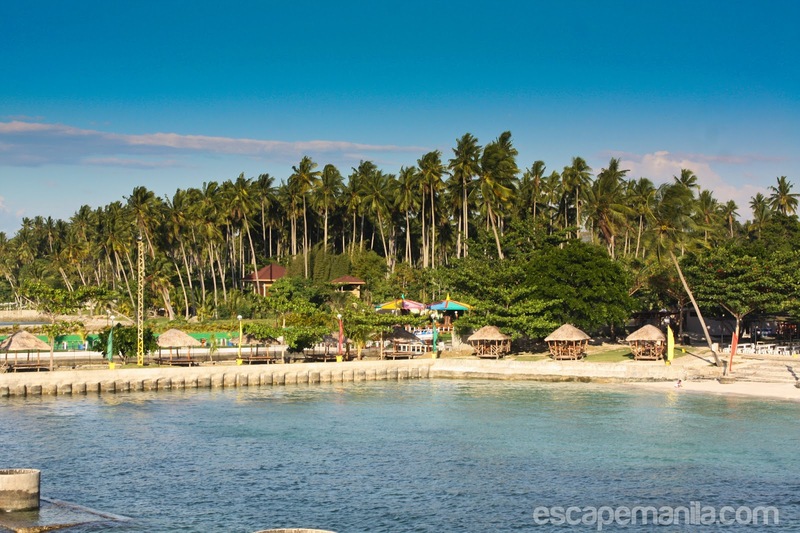 It was a spur of the moment decision to re-visit Samal island. A stranger, soon became my friend arrived in Davao City to see what it offers for an American traveler like him. I basically met him on twitter so we did not know each other. He is also a travel blogger so I got excited to meet him so we could maybe discuss our adventures and misadventures. His name is Dominic and he writes about his adventures at Moving Montevideo. He arrived in the city Wednesday night from Coron and we decided to meet up in Matina Town Square (MTS) along with the Davao Couchsurfers. It was a night full of fun. The day after, I met up with him again for lunch and a city tour. I have not explored the city’s best restaurants so I brought him in one of my favorite places to eat – Majid’s Kebab in Rizal Street. We both ordered chicken biryani. I am not sure if he liked it but he said it was tasty. After lunch we started walking. He was asking me where to go and where are we heading. I said I really don’t know. I was initially planning of showing him the Philippine Eagle but he was not interested as he said he already saw a lot of eagles. I told him these are monkey-eating-eagles and people who come to the city normally go there to see the eagles. He said he will only go there if he can see the eagles eating the monkeys so it’s no longer an option to go there. And so, Samal came in to my mind. He like the beach so I was pretty sure he’ll be happy to be there. After getting his camera from his hotel, we headed to Magsaysay Park to catch the Island bus to Samal. The last time I was there was more than a decade ago so I do not have an insider idea which places to visit. All I know is Monfort Bat Cave, Vanishing Island and Hagimit Falls. We took the bus and we headed straight to Monfort Cave. 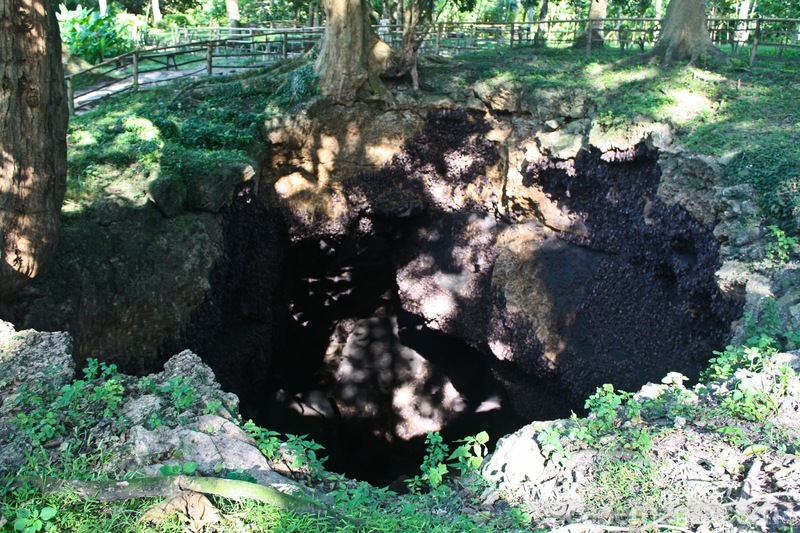 Monfort Cave is home to over 2 million fruit bats known as Geoffroy’s Rousettes. It was my first visit so I was amazed to see the millions of bats hanging on the caves. After a short tour of the facility, we asked around and see if there are places to go sightseeing nearby. We thought of going to the vanishing island, unfortunately it was already high tide when we reached so the island has vanished. We decided to go back to Davao City and crossed one of Dominic’s bucket list – to taste the durian. We bought a whole native durian. He was able to finish like three seeds and he ate like there was no tomorrow – ate the pulp with his two hands. He thought that was it and when I opened the next cluster, he was like no dude that’s enough. I ate some of it and we proceeded to DCLA and ordered one of my favorite drinks – milk tea. He liked it too I guess. Then we walked our way from Uyanguren to San Pedro and called it a night. We still have to wake up early the next day to experience Dahican Beach in Mati. From Davao City proper, you can take a jeepney going to Magsaysay park. From there, you wait for an Island bus. There are two type of bus, one that will pass through Babak and the other one will not. Make sure you ask the bus driver. Tell the driver to drop you at Babak town proper (Fare is P30). From there, take a habal-habal going to Monfort Cave. Fare is P20 each passenger. If you miss the bus, you can proceed to Sasa Wharf and take the barge to Babak port (P10). From there, you can take a habal-habal to Monfort cave for P50 each.